This is the perfect coastal getaway at the end of a paved County road! Built in 1981, enjoy this 2 bedroom/2bathroom home in Ocean Isle Beach for a great price. 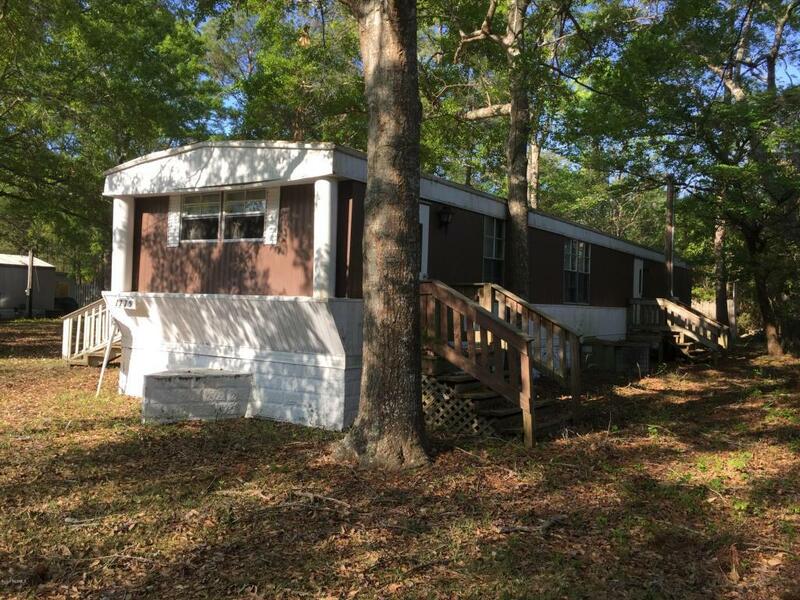 Single wide manufactured home, on a deeded lot, nestled among some majestic oak trees is just waiting for your personal touch to call it your own. Large deck off the living room. County water, paved road, septic system & no Home Owners Association (HOA) fees! Plenty of room for your boat or beach toys. Close to the ICW, dining, shopping, beaches, golfing, boating and fishing. Take a look at this one - great location!